If you love a sleek look and want something easy to achieve this, keep reading ahead. Color Wow was founded by Gail Federici, co-founder of John Frieda. Her mission was to find the answers to fix issues that comes with coloured treated hair, even roots. You would apply this straight onto dry hair then you brush it out. You can blow dry afterwards to give a more professional look. The size of a five pence coin is enough to be used on the bottom half of my hair. Once brushed out, it leaves a smooth finish without drying, crisping the hair or leaving a greasy, sticky residue. All of this done in one minute. This worked great to smooth and tame out any flyaways and to remove static, making the hair more manageable. A little goes a long way and I would recommend not applying it on the roots if you have an oily scalp. This can be applied throughout the day to maintain the style and add moisture however I feel like it’s too much for my hair type. You could say this is like a leave in conditioner at the same time but I wouldn’t rely on this purely for that. This is a great addition to my styling routine if I’m going for a sleek hairstyle. The cream is light, not thick but if I’m going for the big hair look, I wouldn’t use this as it would weigh my hair down a bit. Total opposite of what I want. If you’re looking for something that will finish your hairstyle without the use of hairspray, do look into this. It comes two sizes: 30ml and 120ml. Whether your hair is coloured or not, this will suit all hair types. I have not tried colour wow before but I would love to try it out, it might help transform my hair ! This sounds like a great product. I need something to tame the flyways in my hair! I've tried the brand before. The product didn't suit my hair type but I know a lot of people favour the brand. 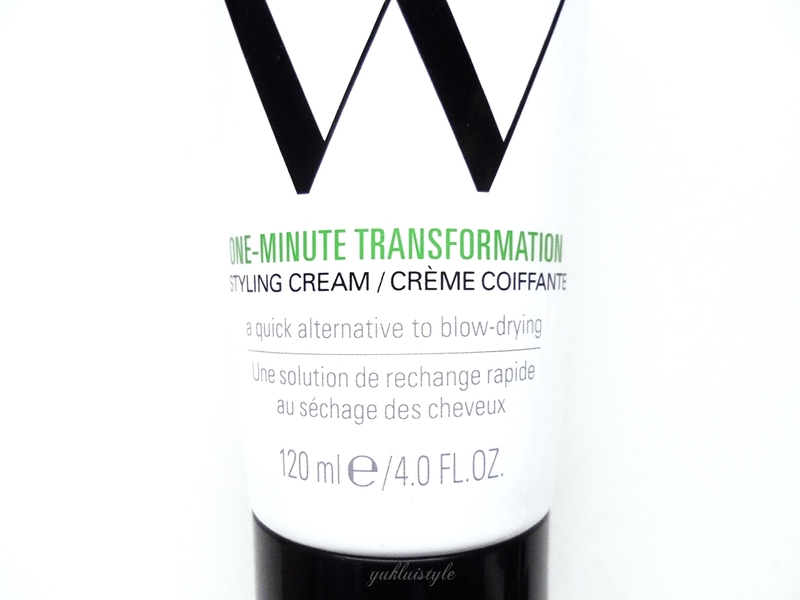 It sounds like a perfect product when you want to have a sleek mane. I've never heard of this product before. I'm going to have a look into them. I do colour my hair so this sounds like it might work well for me I must try it. Oh I've never heard of this but will definitely check it out!! This sounds fab. I like the lovely packaging too. I've not come across Colour Wow before. I find cold winter weather really makes my hair static and this sounds great for on-the-go taming.